Over 7,500 spectators. A history spanning almost 50 years. An Olympic venue. The Palau Blaugrana is one of the most significant facilities in the Barça universe. Magic is created between the court and the seats of this arena. This is partly due to the unique architecture of this venue, designed by Catalan architects Francesc Cavaller and Josep Soteras, with a large reinforced concrete dome that becomes a veritable soundbox and helps to create the fervent atmosphere so respected by Barça’s opponents. But this magic is also thanks to the role of the cheering supporters groups, whose encouragement, consistency, passion and spirit - especially at difficult times during a game - make them the heart and soul behind the teams’ successes. The first penya to appear at the Palau Blaugrana, Sang Culé Cor Català, was formed on the 6th of January 1991 by a group of young fans with a firm commitment to the blaugrana colours. Lovers of football as well as the other sections, the entity was created during a Barça-Logroñés match at Camp Nou. The penya became official in 2001, and its name is a homage to their commitment to the traditions and society of Catalonia. “Being a part of Sang Culé Cor Català is a way of life. We fight with the best weapon that we have - our support - against intolerance, xenophobia, racism, sexism and violence. Sport is the best way for us to express our social convictions”, says Mònica Roca, one of the first members and secretary of the penya. 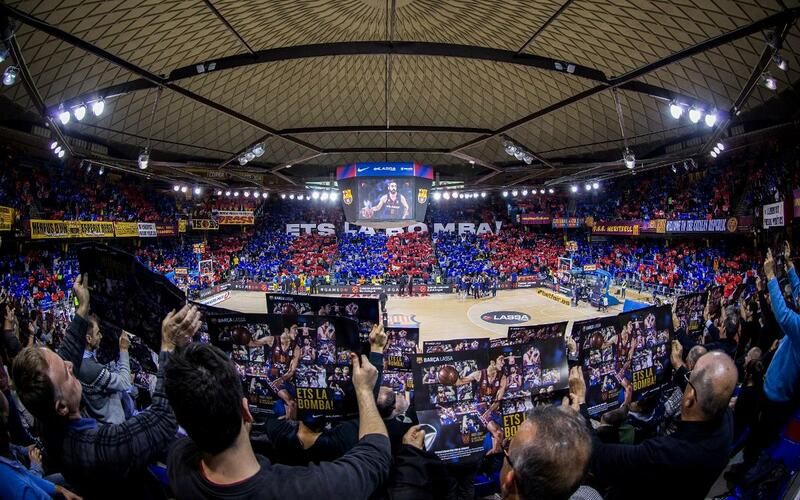 A group with basketball running through their veins, the Penya Blaugrana del Bàsquet Meritxell was formed on the night of the 24th of April 1997, just a few hours after losing a Final Four game for the sixth time. Aíto’s men had lost the deciding match against Olympiacos (78-58) at the Pala Lottomatica in Rome, and when leaving the arena, a dozen Barça fans went for dinner at a local restaurant despite not being very hungry. While they were there drowning their sorrows, they decided to create the supporters club, which was first presided by Rafael Porta. On the 21st of November 1998 the youngest of the Palau’s blaugrana penyes was created: the PB El Racó, that will be 20 years old this year. Eight basketball fans who usually watched the games from the Palau’s lower-right corner - just behind the TV3 commentators - decided to form a supporters group. When searching for a name for the newly-created entity, the majority opted of “Racó” (corner), in honour of their location. “We’re a penya that originally stems from basketball, but we also support other sports at the Palau”, explains Jordi Ballester, president since 2006. “At this point in time we’ve got about 30 members, and we go to almost every game of the different speciality-sports”, he adds.